The New Zealand legal system is based on the common law and has its roots in English law. In 1908 New Zealand imported into its legal system all of the statutes that existed in England as at 14 January 1840. The single most peculiar feature of the New Zealand legal system is its accident compensation legislation which bars most forms of personal injury litigation. With some special exceptions and qualifications, the scheme essentially provides a system of state compensation for people who suffer personal injury by accident irrespective of whether the injury was suffered at work, or on the roads, or at home, and irrespective of whether it was the fault of the injured party, or the fault of any other party. The injured party may not initiate litigation but rather must file a claim with the Accident Compensation Corporation. The scheme provides cover for accidents suffered on a "no fault", "no blame" basis. If there is cover for personal injury or death under the legislation, no civil claim for compensation may be brought in the courts. The statutory bar to proceedings means that there is no civil liability in New Zealand for most personal injuries. The bar to civil claims protects not just the person who caused the injury but also any indemnifier of that person. The bar prevents claims not only by the person injured but also by the Corporation after it has paid compensation to the injured person. It cannot bring subrogated claims against the person who caused the injury. The bar prevents claims if there is cover, irrespective of the amount of compensation which the injured party receives. The scheme operates on the basis that a person who has cover under the Act is entitled to the compensation under the Act (irrespective of the value of that cover) and nothing from the person who caused the injury. There are exceptions to the statutory bar to civil actions for personal injury. Claims for exemplary damages only (because they are not compensatory in nature) may be pursued. In addition, claims for some forms of medical misadventure and in some circumstances for nervous shock/mental injury may be pursued because of limitations in the extent of the statutory cover. Such claims remain rare in practice. As with many other common law countries, New Zealand courts may award to a plaintiff an amount intended solely to punish the defendant for outrageous conduct (exemplary damages). This is in addition to what is necessary to compensate the plaintiff for loss. Because of the accident compensation procedural bar to pursuing compensatory damages for personal injury, it is possible in such cases to pursue and obtain an award of damages which is purely punitive or exemplary. New Zealand case law on exemplary damages is otherwise derived from English law but is less restrictive regarding the circumstances in which an award may be made. Although less restrictive in approach than English law and practice, awards of exemplary damages are relatively small and New Zealand courts have shown a determination to keep them modest. The highest amount of exemplary damages awarded by a New Zealand court is NZ$85,000, although settlements for higher sums have occurred. The Fair Trading Act 1986 (which is based upon provisions of the Australian Trade Practices Act 1974) covers misleading and deceptive conduct in trade, trade descriptions, unfair practices, consumer information and product safety. Liability is strict (so the breach may be innocent or unintentional). The type and amount of any awarded civil remedy is discretionary. The Consumer Guarantees Act 1993 applies to the supply of goods or services which are intended for ordinary household use. The Act provides consumers with a number of implied guarantees of quality and fitness for purpose. It imposes obligations on sellers and manufacturers and provides a number of remedies that enable the consumer to pursue the manufacturer or seller of the goods or services. Contracting out of either the Fair Trading Act or the Consumer Guarantees Act is prohibited in most circumstances. There is no legislative equivalent in New Zealand to the English Unfair Contract Terms Act. There are a number of New Zealand statutes that reform the common law approach to contractual relationships. 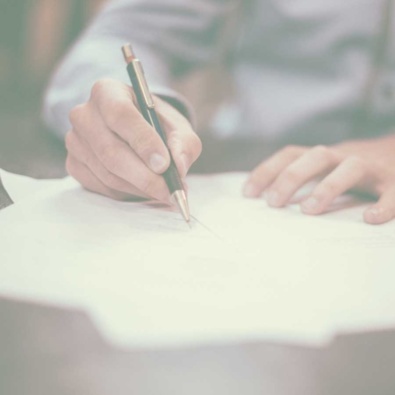 The Contractual Remedies Act 1979 removes the distinction between contractual terms that constitute conditions and those that constitute warranties. Instead, the act deals with breach and substantial breach. The act allows a party to recover damages in contract (assessed as if the representation were a term of the contract) for a misrepresentation irrespective of whether the misrepresentation was innocent, negligent or fraudulent. The Act, therefore, removes the old common law and equitable remedies for misrepresentation between contracting parties. The Act also governs the circumstances in which a party is entitled to cancel a contract. Cancellation of a contract results in all parties being relieved from further performance but the Contractual Remedies Act also provides the courts with broad discretionary powers to grant remedial relief to any party to prevent injustice when a contract is cancelled. The Contractual Mistakes Act 1977 and the Illegal Contracts Act 1970 largely codify the established common law rules relating to contracts which are entered into by mistake or contrary to law. Both statutes, however, confer on the court a broad statutory discretion to grant remedial relief in respect of contracts subject to those Acts. The New Zealand Bill of Rights Act 1990 is an ordinary Act of Parliament that is subordinate to other legislation where express inconsistency arises. The act contains a list of rights and freedoms which are affirmed. The act cannot operate so as to strike-down inconsistent legislation. Instead, it is used by the Courts as an aid to interpretation of legislation. Where another act can be read in two ways, one being consistent with the Bill of Rights Act and the other not, the interpretation which is consistent will prevail. New Zealand has a multi-tiered civil court system. Claims for less than NZ$15,000 (or NZ$20,000 with the consent of the parties) are heard by the Disputes Tribunal. The Disputes Tribunal is a small claims forum where lay people decide the dispute. Lawyers are not permitted to appear and the matter is resolved based on broad principles of fairness and justice rather than according to ordinary legal principles. Claims for damages under NZ$200,000 are commenced in the District Court. Claims for higher amounts are commenced in the High Court of New Zealand which is also the appellate court from the District Court. In addition to its general jurisdiction, the High Court also exercises jurisdiction in Admiralty. An appeal from a High Court decision is heard by the Court of Appeal of New Zealand. There may be a final appeal from the Court of Appeal to either the Privy Council in London (for cases in which a decision was given before 31 December 2003) or the Supreme Court of New Zealand (for cases in which a decision is given after 31 December 2003). New Zealand also has a specialist Family Court, Environment Court and Employment Court (and Tribunal). New Zealand court processes closely resemble those of England and Australia. Pre-trial discovery is limited to document discovery (which proceeds on similar concepts of relevance to England) and interrogatories answered on affidavit. There is no process of deposing witnesses in civil trials in New Zealand. With a small number of exceptions, civil cases are determined by a judge sitting alone and not with a jury. Since 1994 the courts of New Zealand have, to various degrees, implemented case management systems which promote the prompt and economic disposal of cases and which have the effect of removing control of the process from the parties. In Auckland the system is well established and ensures that regular conferences are held and timetable orders are made and met. The case management systems ensure that cases receive regular judicial attention and are dealt with in an expeditious manner. Most cases are finally disposed of within a year or two of proceedings being initiated. Successful litigants are usually entitled to a contribution towards their legal costs. The amount awarded is a matter of judicial discretion. Generally speaking, an award of costs will cover approximately 25%—50% of the actual legal costs incurred by the successful litigant. This has tended to remain the case despite a change in the Court rules which provided a new approach to costs awards, aiming to lift recover to 60% but based however, not on actual costs, but on a notional reasonable cost as assessed by the Court. New Zealand has enacted the Arbitration Act 1996, which allows parties to resolve their disputes by arbitration without the interference of the Courts except in circumstances of failure of due process or fraud. The Act is based on the Model Law on International Commercial Arbitration (UNCITRAL) and gives effect to various international protocols and conventions. New Zealand is also a signatory to the New York Convention on the Recognition and Enforcement of Foreign Arbitral Awards. Arbitral awards from other state parties are recognized and enforceable in New Zealand.